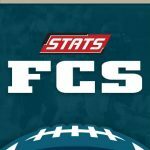 Every FCS win over an FBS program is felt across college football, but a strong intersectional matchup early in the season is just as important for the FCS. Last season was the year for the FCS wide receiver. This season might be the year of the FCS wide receiver. Eastern Washington senior Cooper Kupp led the way on the STATS FCS Preseason All-America Team. No. 13 William & Mary will continue its quest for an NCAA title when it plays at 12th/11th-ranked and seventh-seeded Richmond in tthe NCAA Playoffs. After posting a convincing 38-16 victory at Villanova on Saturday, the William & Mary football team garnered a national ranking in both major Football Championship Subdivision (FCS) polls this week. James Madison redshirt-junior quarterback Vad Lee has been named the Bill Dudley Award, the Richmond Times-Dispatch announced Wednesday at a banquet in Short Pump. 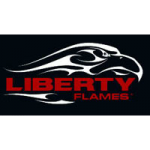 Following the program’s first-ever run in the NCAA FCS Playoffs, Liberty has announced it will face one of the most challenging schedules in program history when the Flames return to action during the 2015 season. No. 5/5 Villanova scored the go-ahead touchdown with 1:12 left to post a 29-22 victory over No. 20/23 Liberty on Saturday in the second round of the FCS playoffs. The Flames scored three times and held the No. 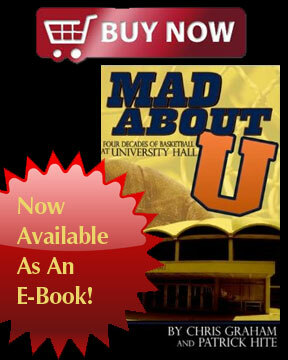 15/15 James Madison potent offense in check in the second half, allowing No. 20/23 Liberty to advance in the NCAA FCS Playoffs with a 26-21 win. 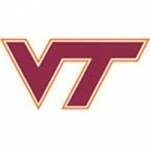 Augusta Free Press editor Chris Graham joined host Jim Bresnahan on WREL-1450AM in Lexington, Va., to talk about the upcoming UVA-Virginia Tech football game on Friday. The No. 15 JMU football team will host Big South Conference champion Liberty in the 2014 NCAA FCS Football Championship, the committee announced this morning. JMU finds out it will play Liberty at home on Nov. 29 at Bridgeforth Stadium in the FCS Playoffs. Check out the reaction here. In its regular season finale, JMU scored on nine of its first 13 drives of the game to roll to a 59-21 victory over Elon on Saturday afternoon at Bridgeforth Stadium/Zane Showker Field. Liberty punched its ticket to the NCAA FCS Playoffs for the first time with a 15-14 victory over No. 2/1 Coastal Carolina, Saturday afternoon, at Brooks Stadium. 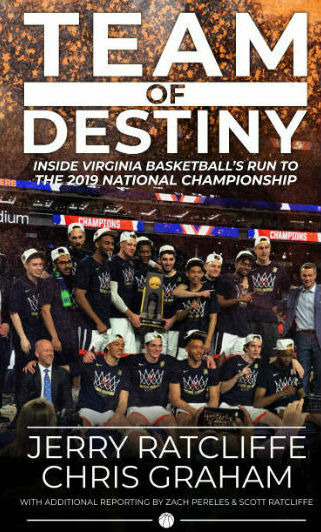 Is the problem at UVA lack of talent on the roster? The recruiting numbers would suggest, as they did at this time last year with respect to JMU, no. JMU football is poised to advance to the NCAA FCS Playoffs. The official NCAA FCS Playoff selection show will announce the participating teams on Sunday, November 23 at 11 a.m. and will be aired on ESPNU. The Liberty Flames scored twice in the fourth quarter to pull within two points, but were unable to come up with a defensive stop late in the game, dropping their Senior Day contest, 38-36, to Charleston Southern. JMU rallies, tops William and Mary, 31-24: Dukes in playoff hunt? James Madison rallied from a 24-13 fourth-quarter deficit, getting the go-ahead score with 47 seconds to go on a pass from Vad Lee to DeAndre Smith, to top William and Mary, 31-24, on Homecoming at Bridgeforth Stadium in Harrisonburg, Va., on Saturday. 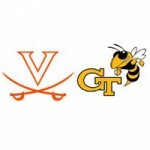 Virginia Cavaliers football heads to Atlanta Saturday to face the Georgia Tech Yellow Jackets in the first of two consecutive road ACC games for the Cavaliers. The game will be televised on ESPNU. VMI quarterback Al Cobb has been named to the 2014 Jerry Rice Award Watch List as announced by The Sports Network Wednesday. 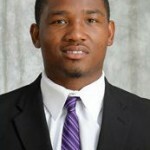 James Madison football freshman cornerback Jimmy Moreland (Royal Palm Beach, Fla./Royal Palm Beach) has been named to the initial Jerry Rice Award Watch List for the 2014 season, announced by The Sports Network. The nationally-ranked defense of the #14 Chattanooga Mocs lived up to its billing, shutting down VMI and handing the Keydets a 55-7 Southern Conference loss Saturday afternoon at Finley Stadium in Chattanooga, Tenn.
James Madison (2-1) and Villanova (1-1) will both open Colonial Athletic Association football play this weekend with a 12:30 p.m. kickoff at Villanova Stadium. The No. 16 William and Mary football team earned its second consecutive victory with a 29-14 win against Norfolk State in its home opener on a rainy Saturday evening. Timely passing and a persistent rushing attack helped Liberty open its 2014 home schedule with a 56-31 victory over Brevard, Saturday evening at Williams Stadium. Virginia Tech football had this Saturday circled on its calendar from the moment the 2014 schedule was released earlier this year. Ohio State, in the Horseshoe, a chance for the Hokies to get a program-defining road win against a national power. We’ll have a sense of UVA football coach Mike London’s job security somewhere around 3:15 p.m. Eastern on Saturday. The No. 19/22 William and Mary football team will open the 2014 season when it plays at Virginia Tech this Saturday at 4 p.m.
Vad Lee has experiences. 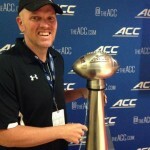 He saw time for Georgia Tech in the 2012 ACC Championship Game against Florida State and the 2012 Sun Bowl in which the Yellow Jackets beat USC. He started all 13 games as a redshirt sophomore in 2013, and while Tech finished a disappointing 7-6, it wasn’t because of the offense, which Lee helped finish fourth in the ACC on yards per play running Paul Johnson’s tricky triple-threat option. Among the first things that Everett Withers did upon getting the JMU football job was switch from the 4-3 defensive front to the 3-4. There’s a lot more to the change than reversing the numbers, of course. Withers feels the 3-4 is perfect for a I-AA program like James Madison because it enables him and his staff to be creative in recruiting.